Welcome to Saint Germain Carriage! A keyless entry makes your life easier! 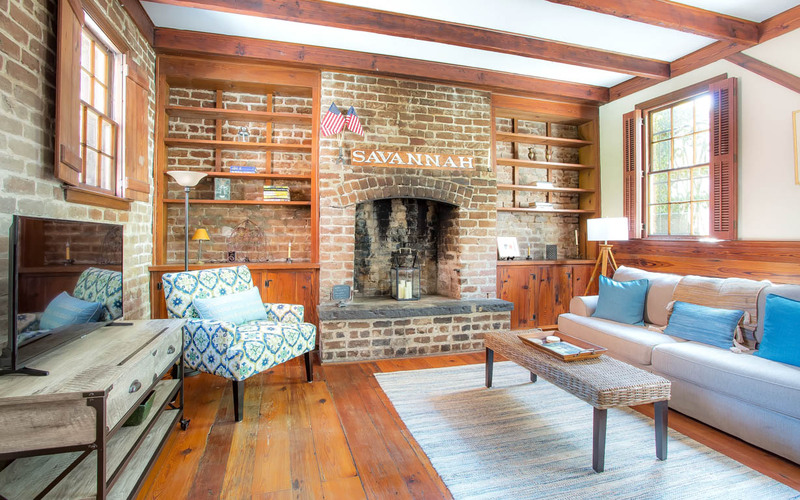 Stay inside a piece of Savannah history. Enter from behind the main home. 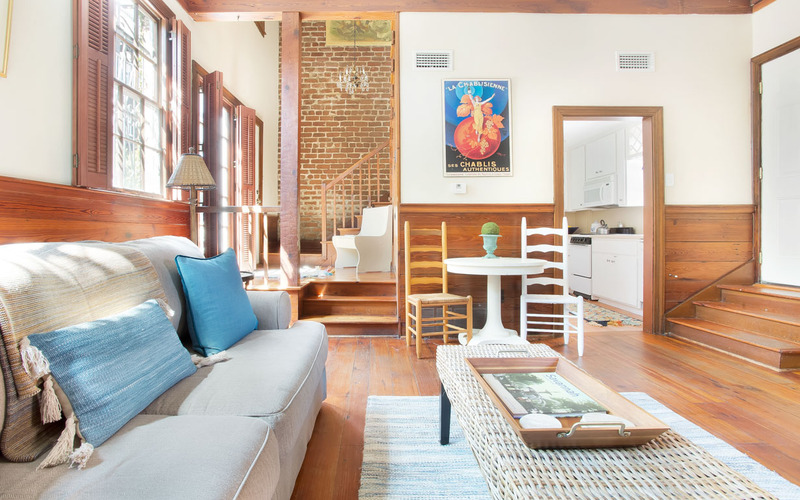 The living room is the perfect size! 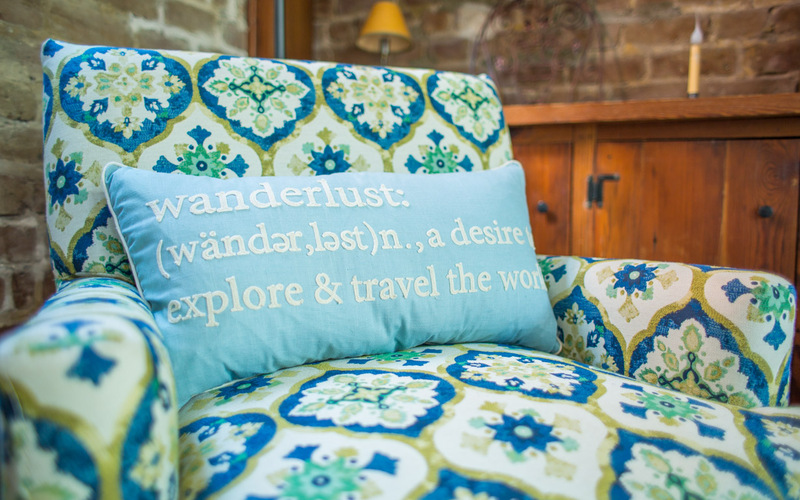 Kick your feet up and relax after a day of exploring. The sofa turns into a Queen sleeper. Watch a movie at night. The living room and kitchen are on the first floor. The bedroom and bath are upstairs. 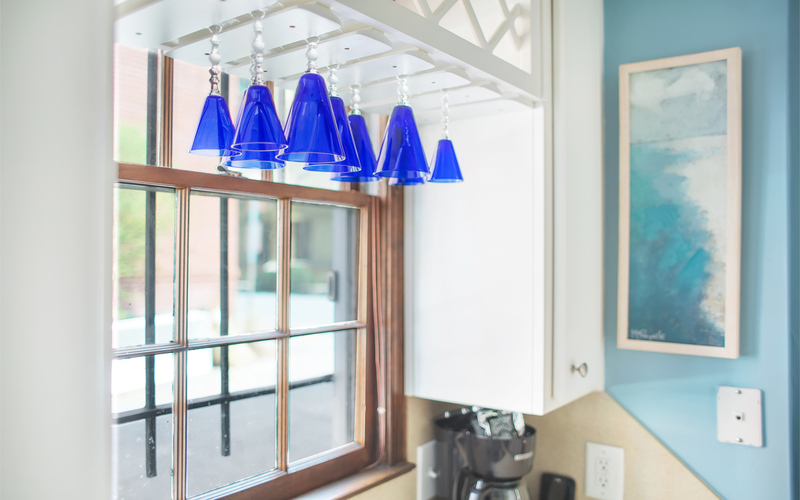 Have a cup of coffee at the breakfast nook each morning. 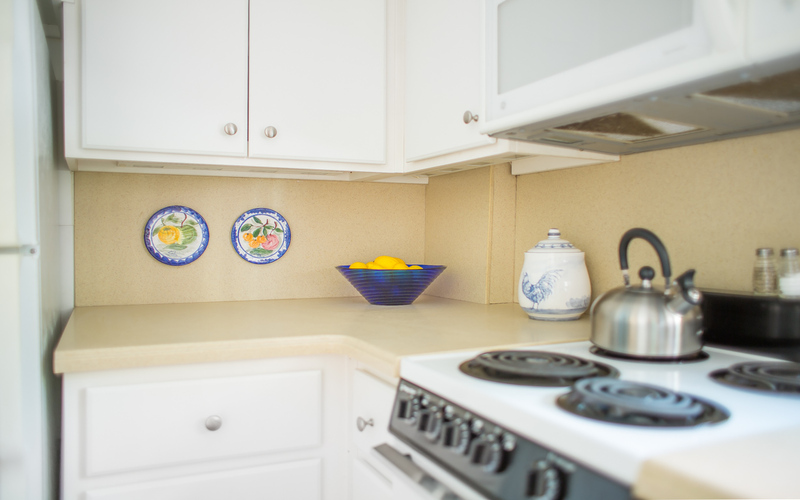 The kitchen is large with plenty of storage! A coffee maker and teapot are provided. Prep a quick meal in the light-filled kitchen. All dishware is provided! Upstairs, the bedroom and bath. 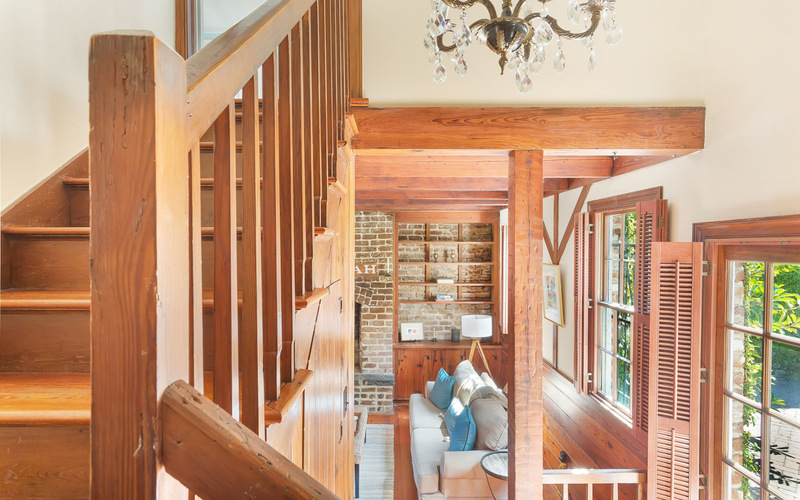 The master bedroom is at the top of the stairs. A full size closet makes extended stays a breeze. Crawl into a King size bed. Your own four-poster bed. The bed is dressed with hotel-grade linens. Two large closets are ideal for longer stays! The full bath is en suite. Watch your favorite shows from bed. View of the full bath. A double vanity makes it easy to get ready. The shower is a tub/shower combo - great for families! View of the bedroom, stairwell, and bath. 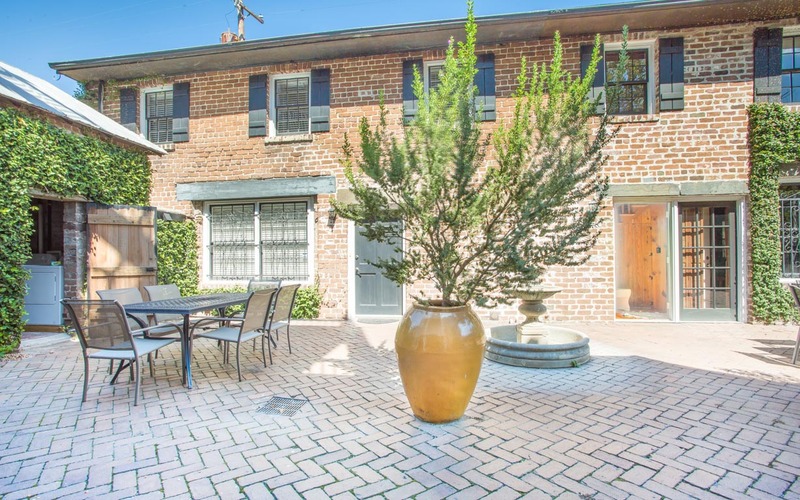 Guests can enjoy access to the shared courtyard. 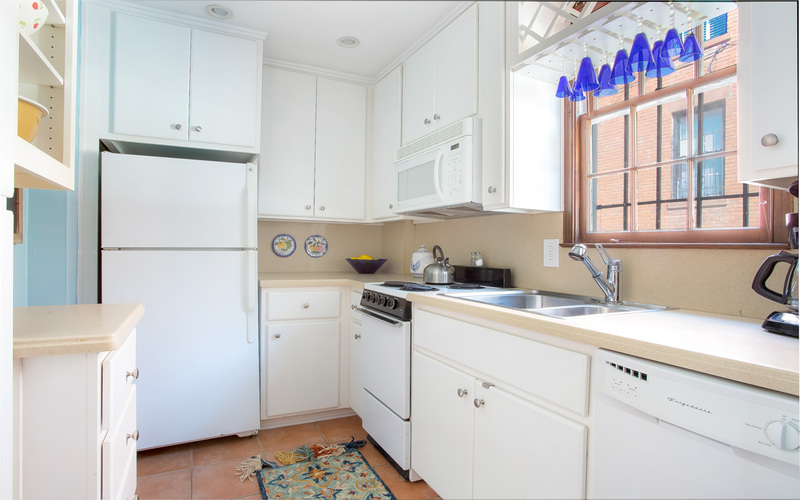 A shared washer/dryer is also available. Front door of the carriage house. Look for the carriage mailbox. 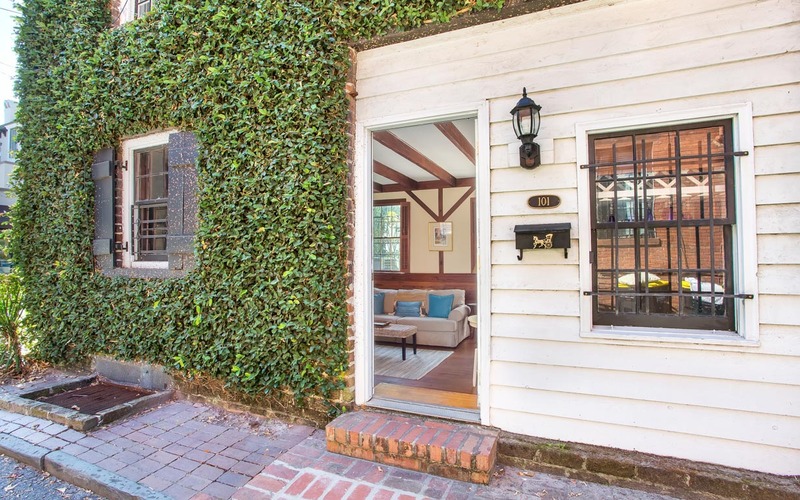 Front of the carriage house. 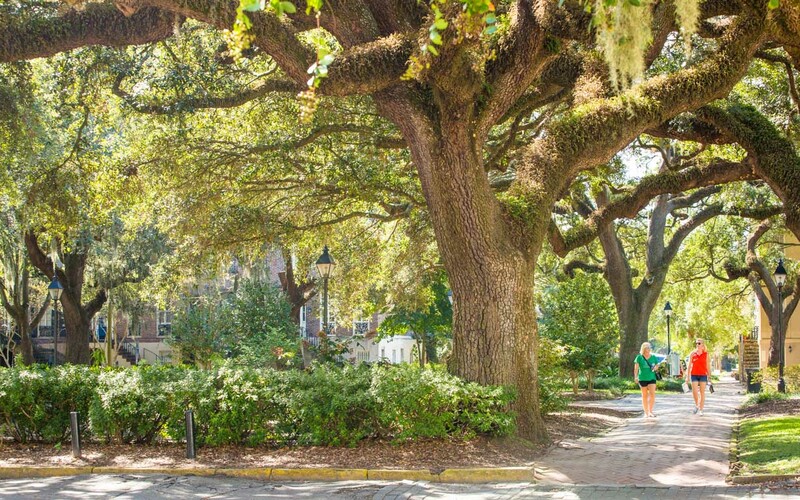 Head in any direction on foot and become immersed in Savannah. Local shops and art galleries nearby. 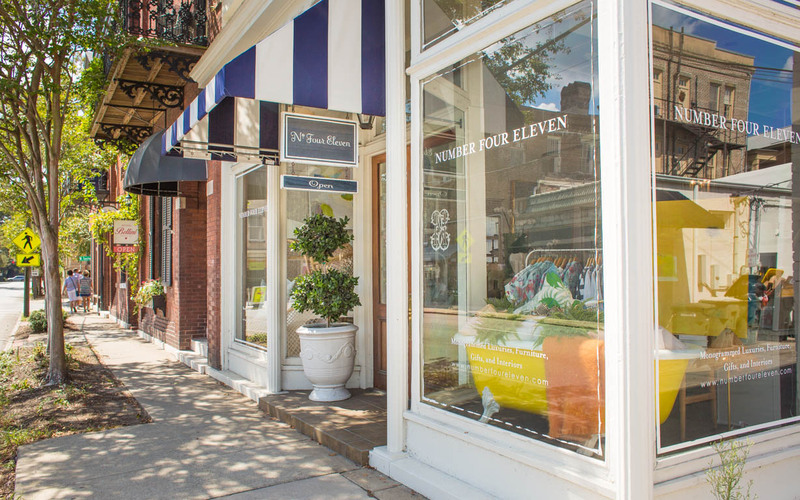 All part of Savannah's Design District. 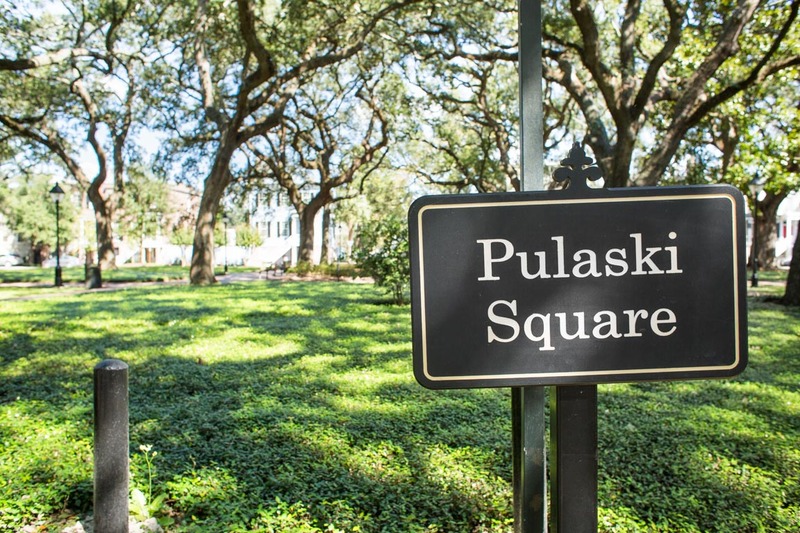 A popular square is just steps away. Enjoy an unofficial architectural tour en route to anywhere. 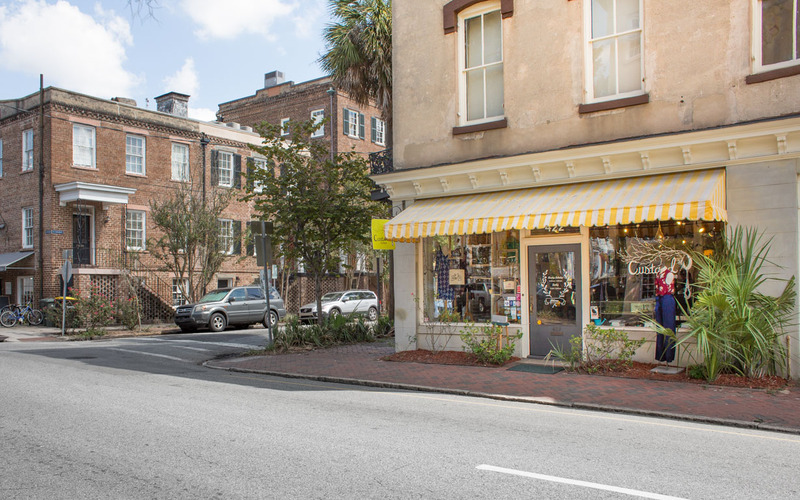 More shops in Savannah's Design District. 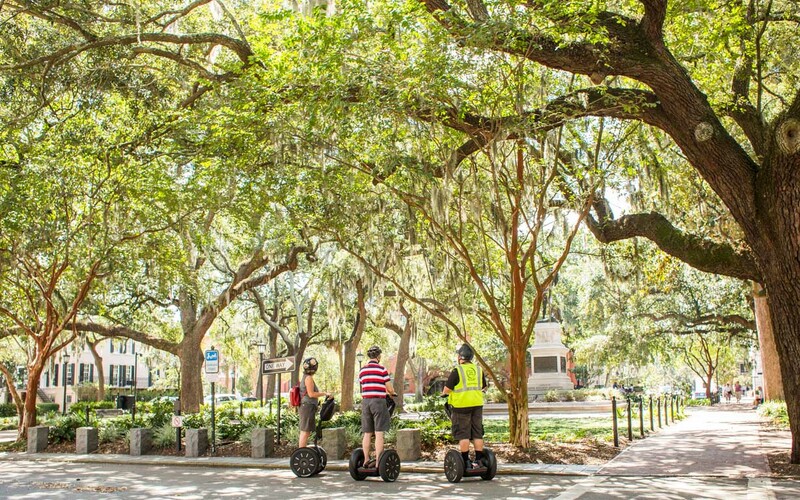 Take a tour via segway for a unique experience! 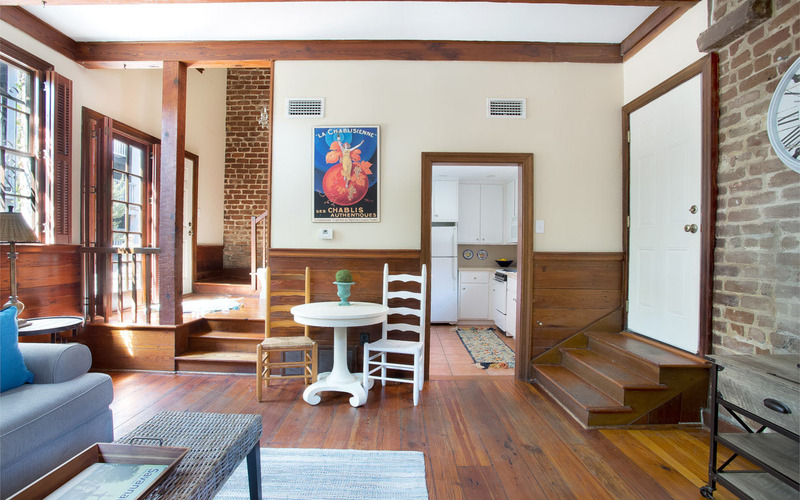 Nestled in the heart of Savannah's thriving Design District, this two-level carriage house is the perfect getaway for up to four guests. 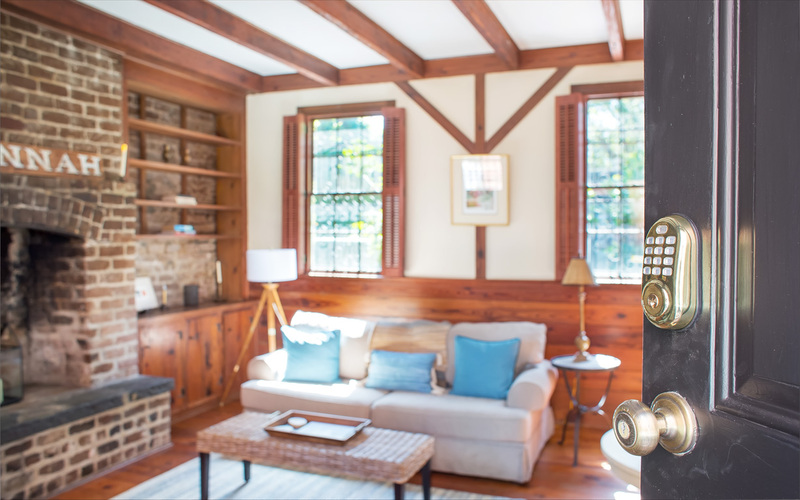 Guests enter independently of the main house, just beyond the spacious courtyard guests are welcome to enjoy. 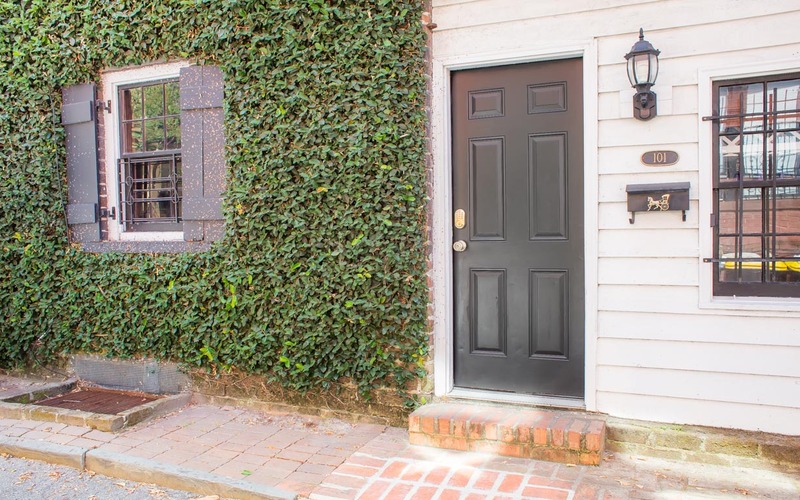 Use your secure, keyless entry code to access the carriage house, entering into the charming living space with original brick fireplace (now decorative). 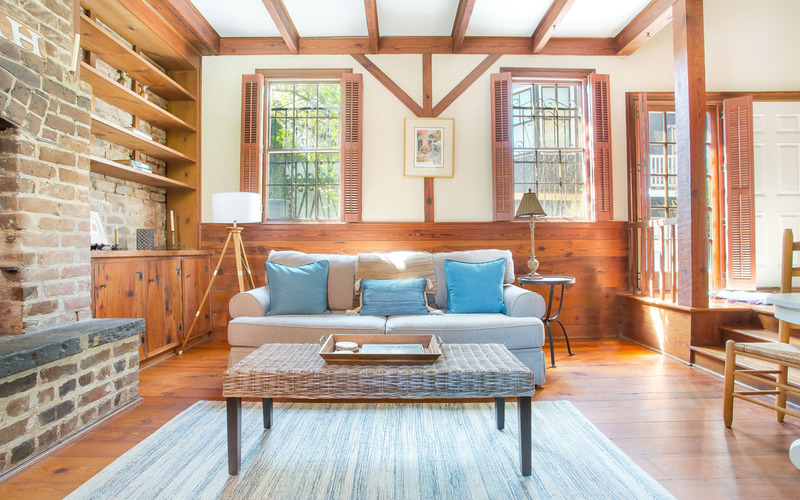 Kick back and unwind after a day of travel with a flat screen TV and the owner's collection of books. Two additional guests can transform the living space into a bedroom with a Queen sofa sleeper. 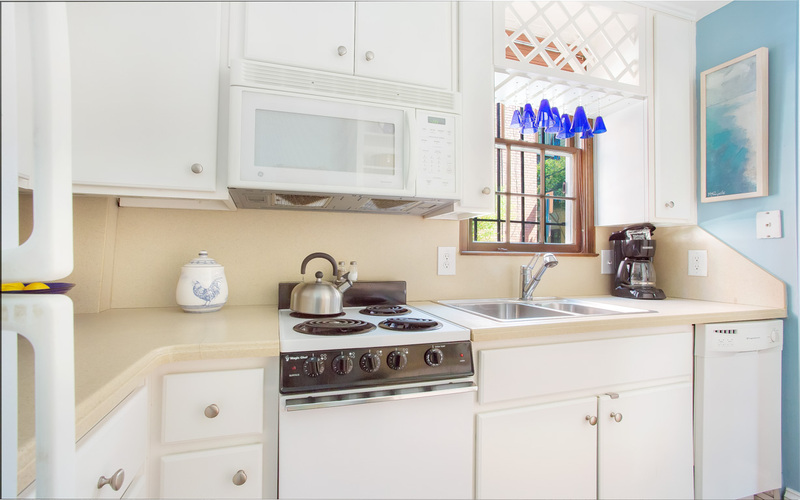 Off the living room you'll find the bright and sunny kitchen, fully-equipped with every cooking essential. 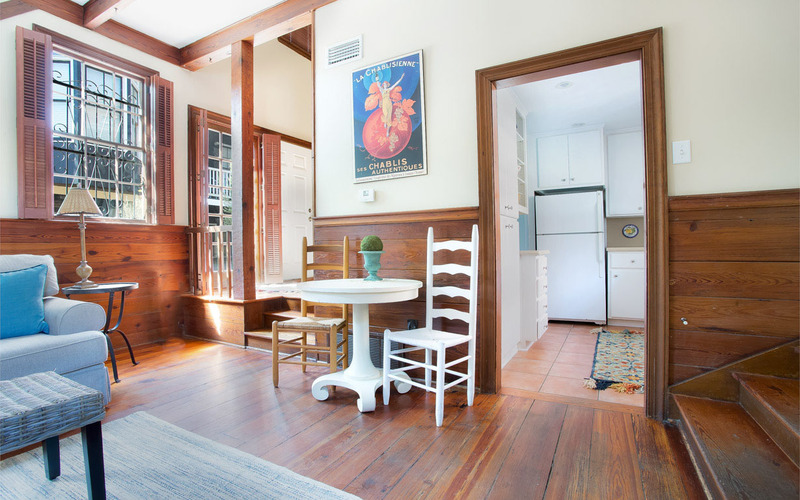 A breakfast nook fit for two is the perfect place to sip a morning cup and plan the day. 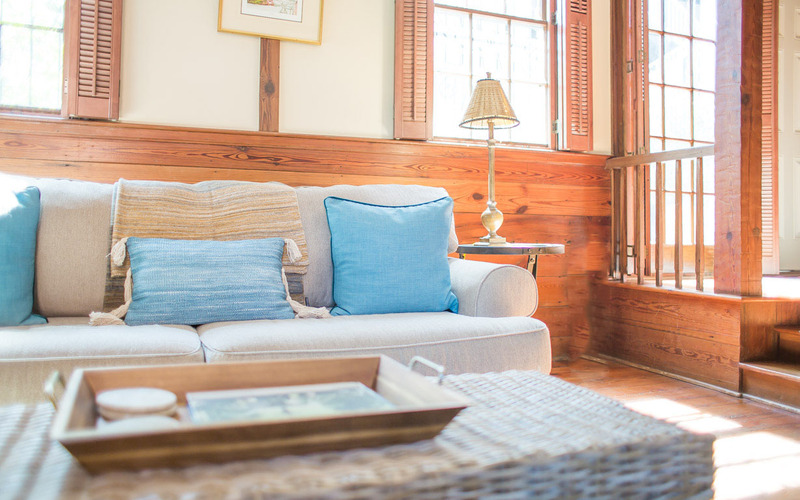 Upstairs, the master bedroom with King size bed and generous storage - ideal for extended stays. The full bath with tub/shower combo and double vanity is en suite. 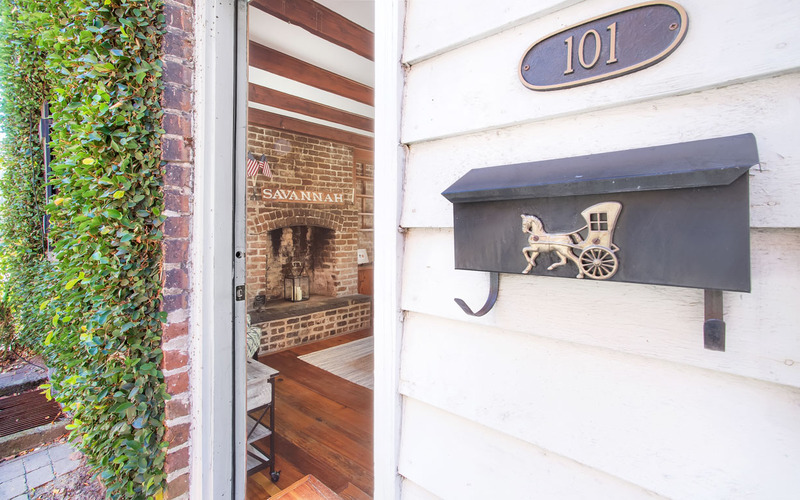 Guests are encouraged to take advantage of the large courtyard separating the carriage from the main house. 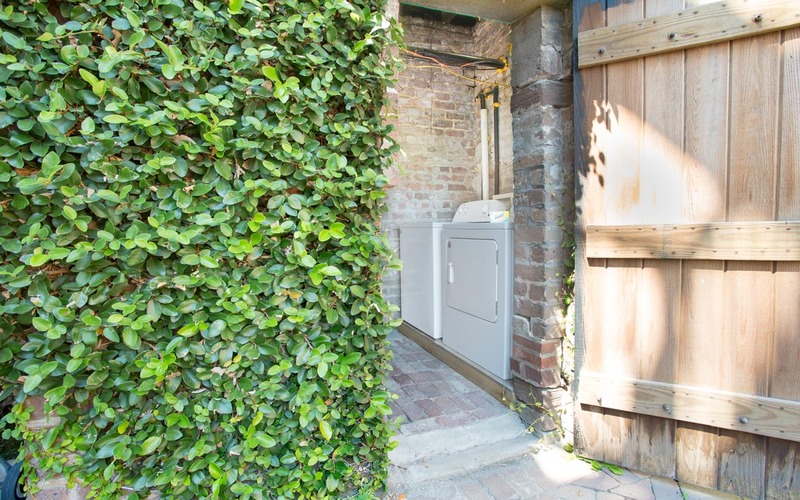 A washer and dryer are also available adjacent to the main home. Start your day with a cup of joe from Art's with art and design boutique shopSCAD just across the street. 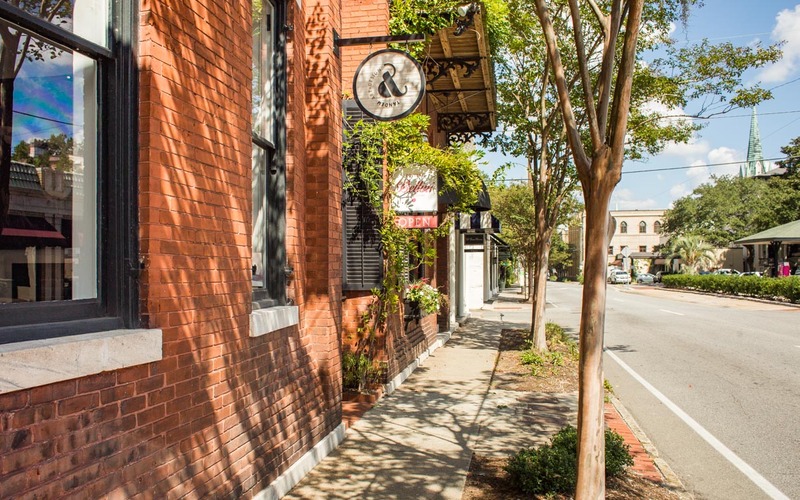 For lunch, pass around Southern dishes family-style at Mrs. Wilkes Boarding Room, recognized by locals and tourists alike to be the best Southern food in Savannah. For dinner, go casual with a good burger from Crystal Beer Parlour, or dress up a notch for a delicious meal from The Public Kitchen and Bar. 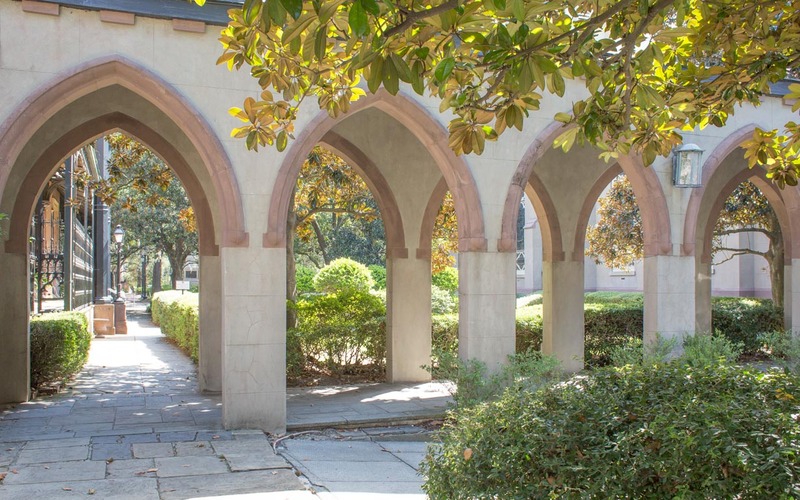 Nearby attractions include The Sorrel-Weed House, Green-Meldrim House, Mercer Williams House Museum, and the Fountain at Forsyth Park. Head North just a short walk towards the National Landmark Historic District center, with Broughton Street being the go-to for shopping and dining. 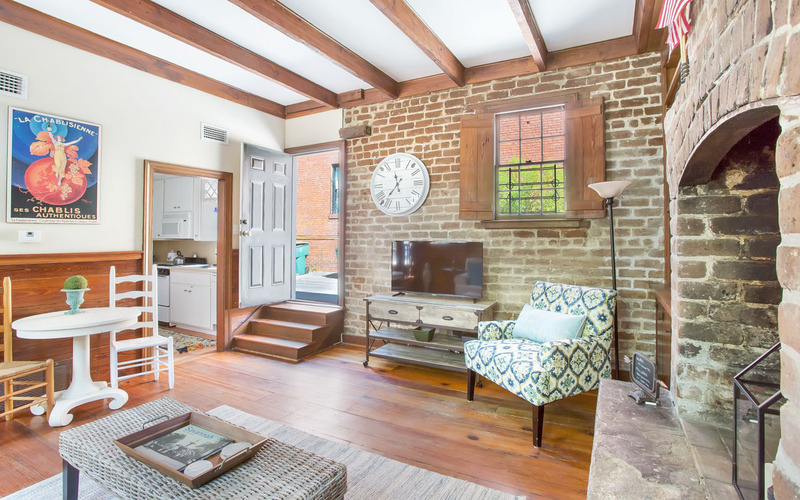 Both City Market and River Street are a 15-minute walk from this home. 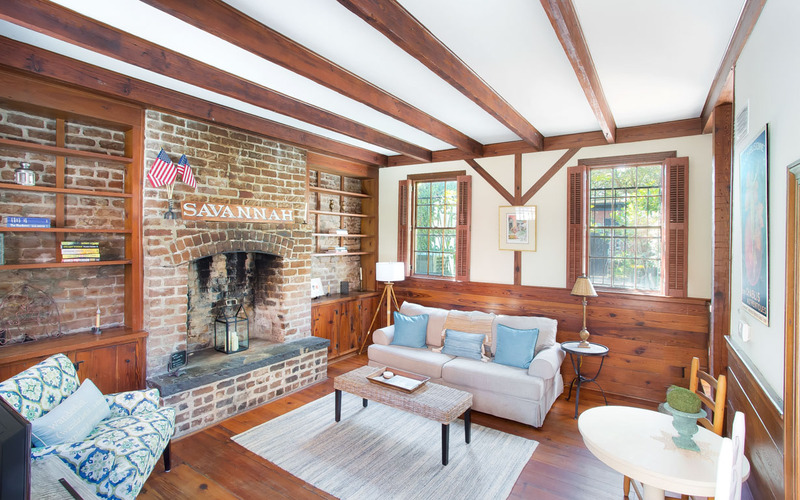 Parking for this home is on-street and metered, which is enforced by the City of Savannah Monday through Friday from 8am to 5pm. 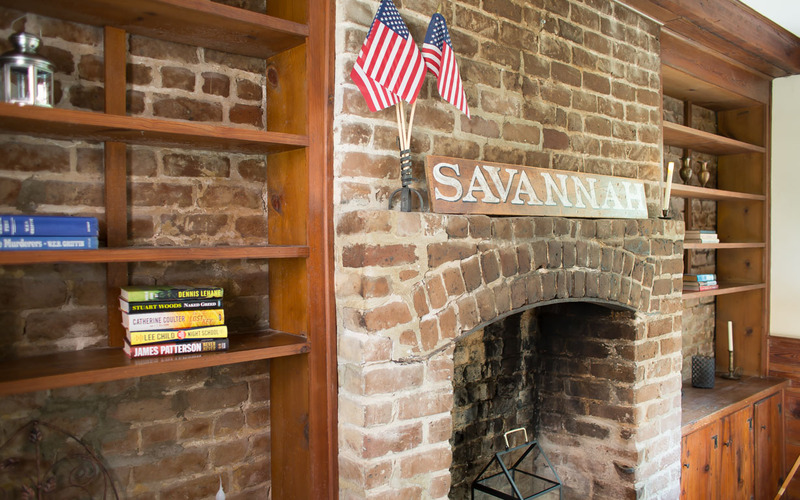 Guests are encouraged to purchase a pre-paid parking pass from the Savannah Visitor Center, or park their vehicles in one of the several City-owned parking garages. 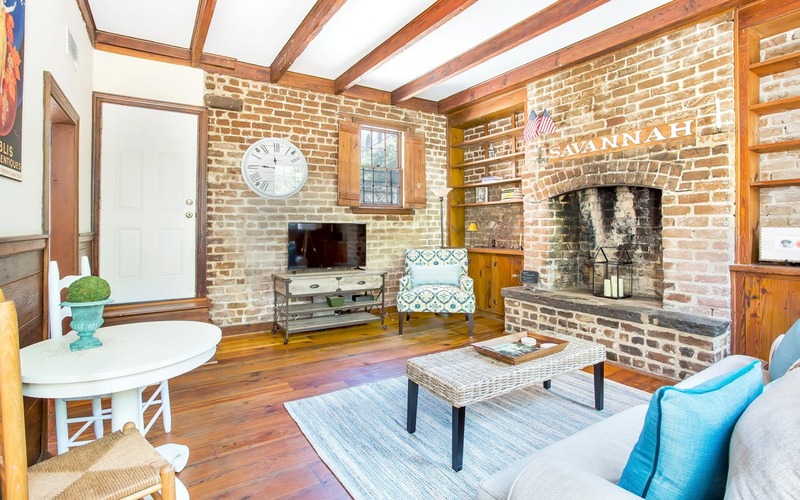 Unless taking a day trip out to Tybee Island (Savannah's beach) or Wormsloe Plantation, everything is within short walking distance. Savannah also has both Uber and Lyft services. Location was out of the fray but close enough to get there easily. Very well decorated and maintained. Beautiful property. We had a fantastic time. The start Germain was perfect. Very comfortable, convenient and decorated beautifully. Loved it! I walked everywhere that I needed to go. Nothing was ever more than a mile away. It was clean and cozy!